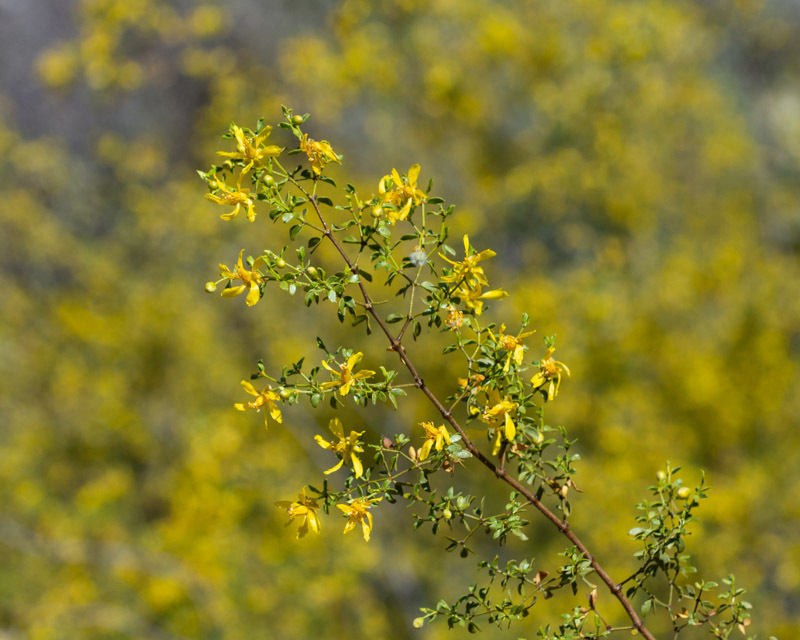 April is associated with yellow flowers in the desert. Palo Verde trees are all ablaze with spectacular yellow now throughout the Foothills and the Tucson area. 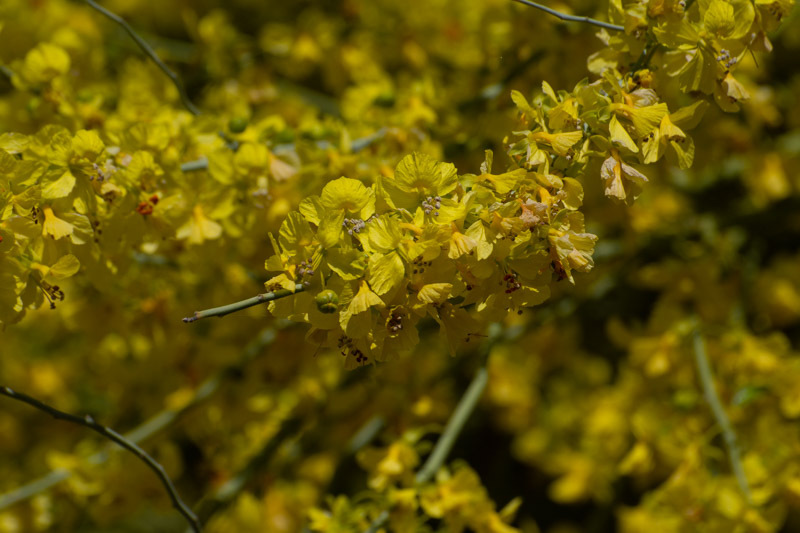 The Palo Verde is the state tree of Arizona. Its name, “palo verde” means ‘green stick’ in Spanish. Its bark is green and can photosynthesize, allowing the leaves to be very small which decreases water loss in this hot climate through evaporation and transpiration. 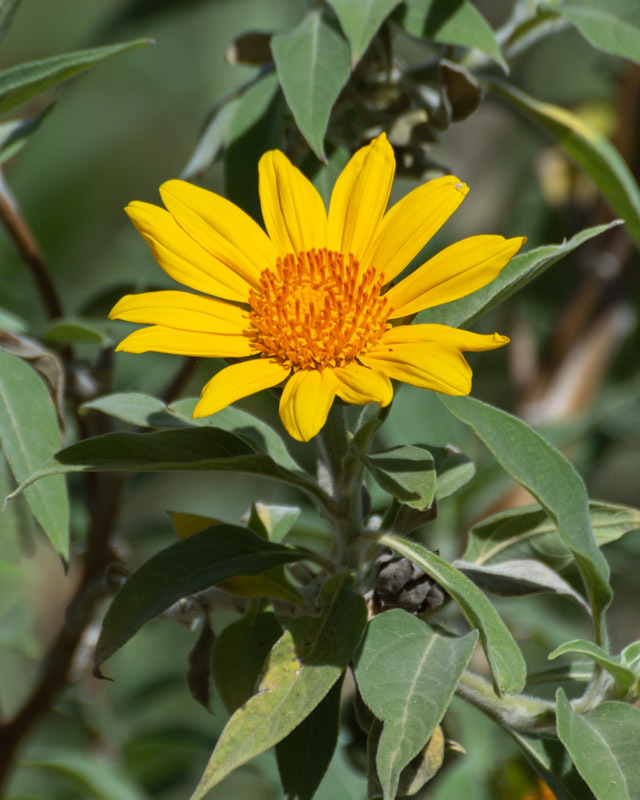 Mexican Sunflower plants were blooming in the Tohono Chul garden. As well as hummingbirds. 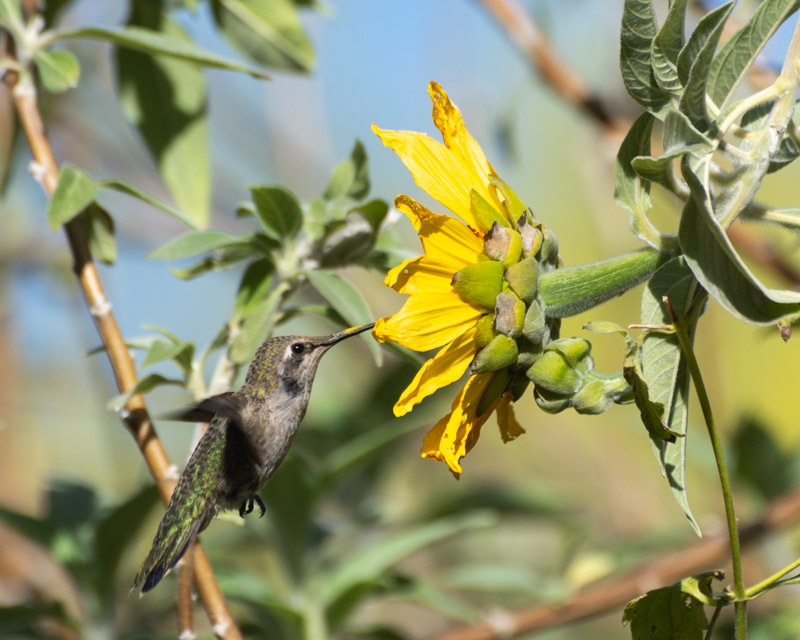 This female Anna’s already had a beak covered with pollen from other flowers, but is enjoying the nectar the sunflower provides. 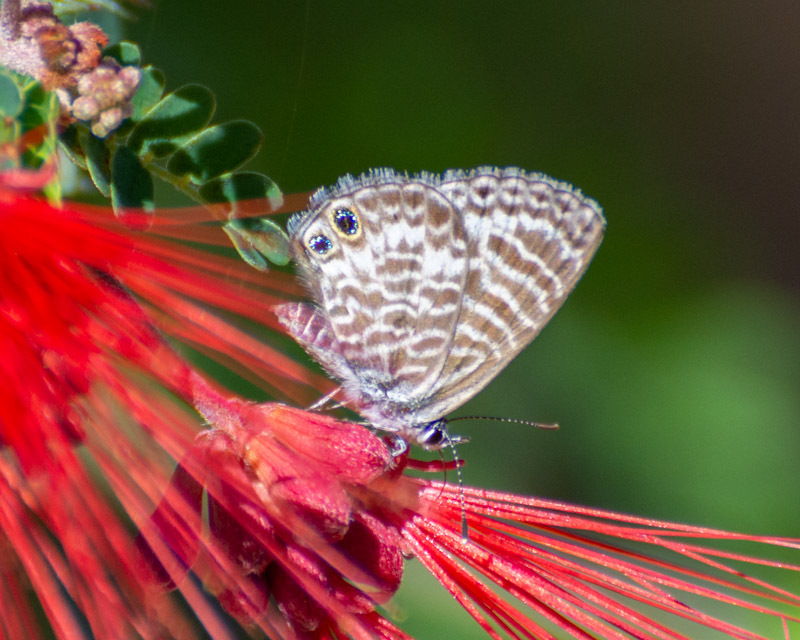 Which are being enjoyed by this Marine Blue butterfly. 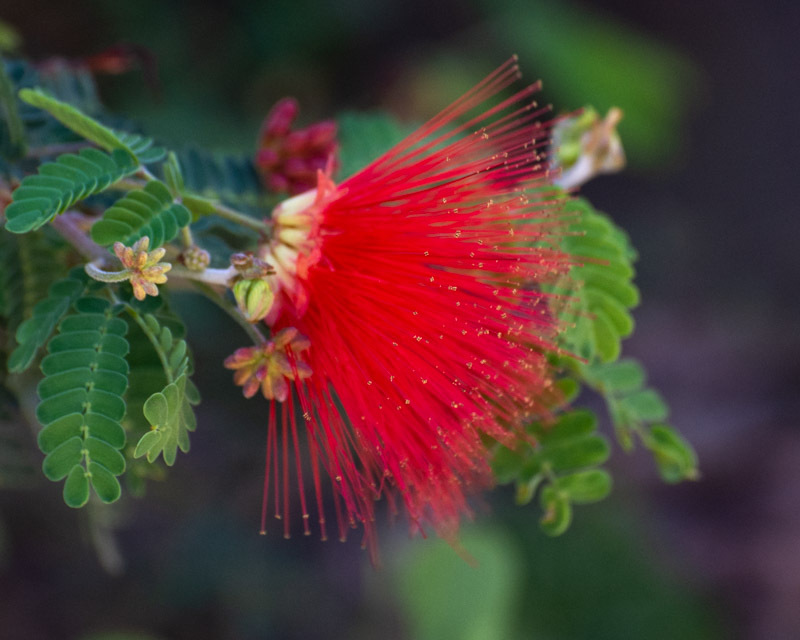 Marine Blues use a variety of legume flowers for food plants…. Which explain this egg-laying behavior. 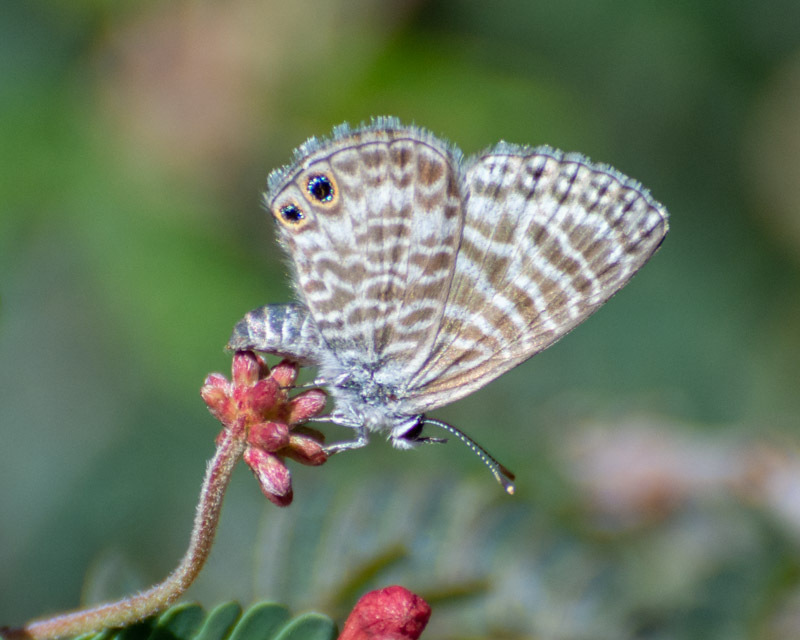 The butterfly’s curled abdomen is an indicator that egg-laying is going on. 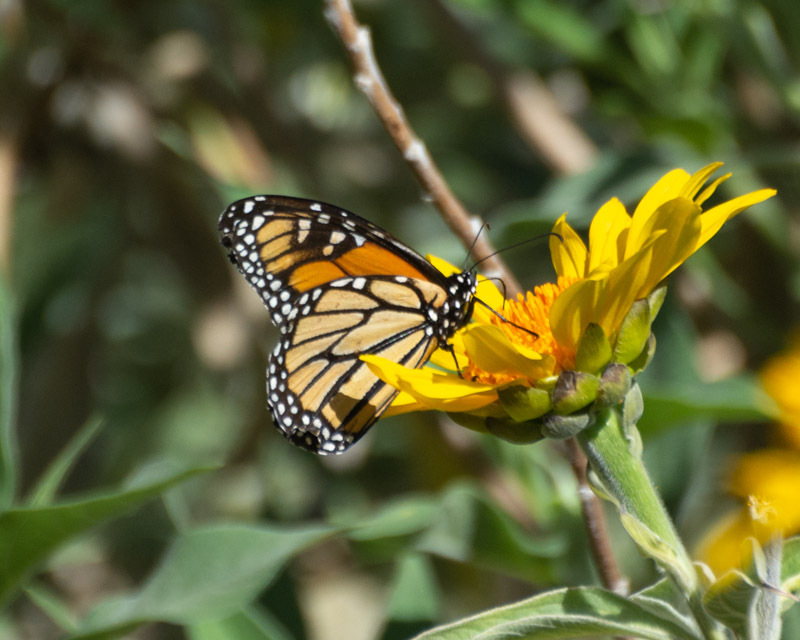 While doing this, the butterfly walked in circles slowly around the group of flower buds. 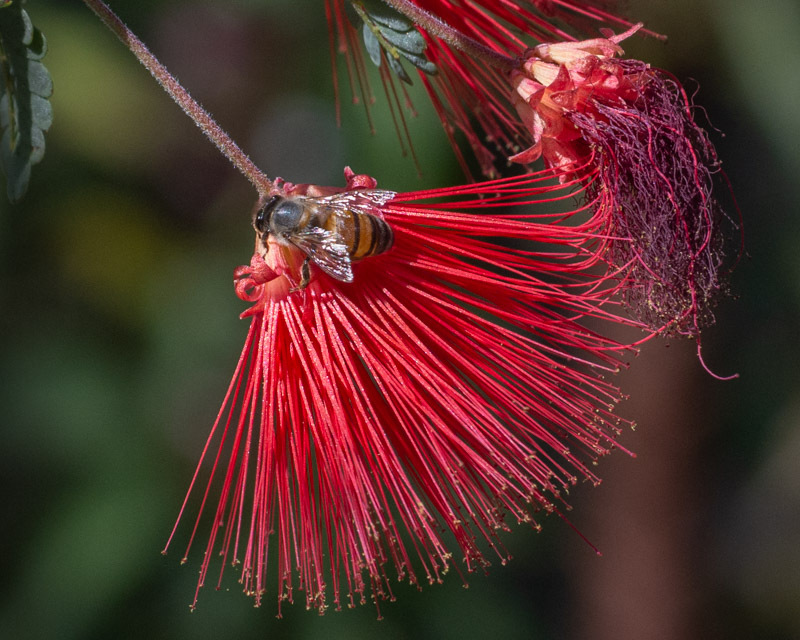 Bees also enjoyed the many flowers of this fairy duster. 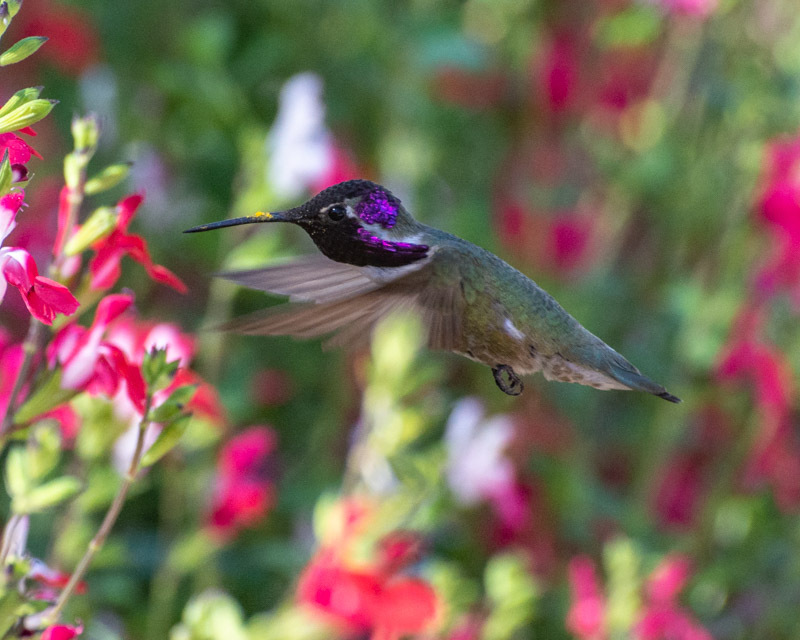 And a Costa’s Hummingbird dined at a field of Salvia flowers. It’s beak was also covered with pollen. Next, how are those Great Horned Owls doing?